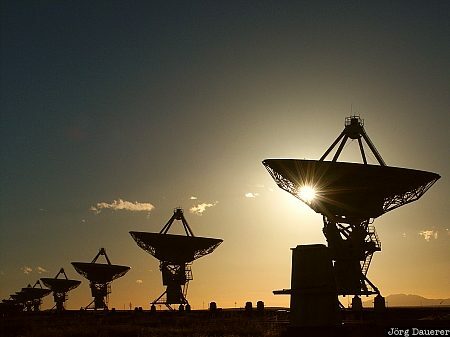 The setting sun is shining through the antennas of the VLA (Very Large Array) radio astronomy observatory near Magdalena. Magdalena is in the south of New Mexico, United States. This image was taken in the evening of a sunny day in February of 2004. This photo was taken with a digital camera.